Anybody else a little burned out on CG and 3D at the movies? Feel like you're one Dolby sound check away from a burst eardrum? It might be time for a special effects break. The ArMack Orchestra fundraiser at Arcata High this Thursday, Friday and Saturday is just the ticket ($5). The students are showing a double feature of Two Tars and Sherlock Jr. and playing the live soundtrack like it was done in the heyday of silent film. Silent? No color? Yes and yes. And you're going to love it. Two Tars is about a couple of fellas who get stuck in a traffic jam along with their dates. Road rage simmers to the surface and drivers start vandalizing one another's cars. Don't pretend you can't relate. 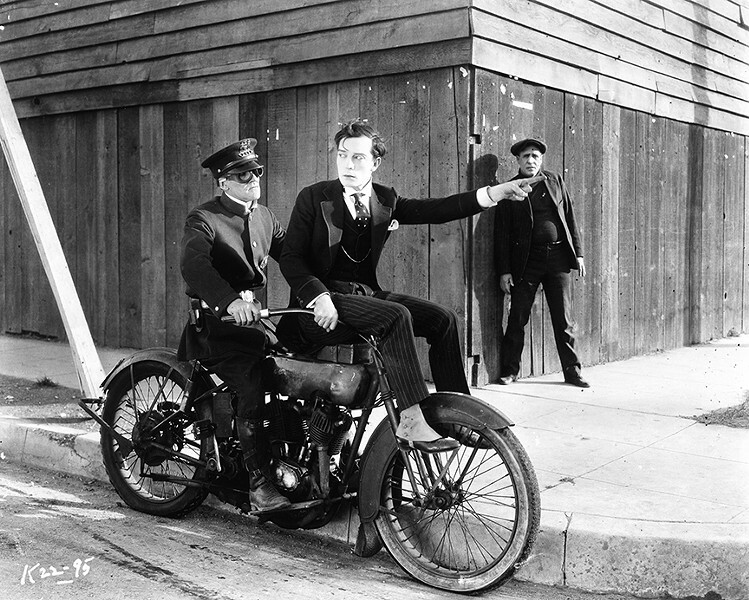 Sherlock Jr. stars Buster Keaton, who was doing his own stunts before it was cool or properly insured. In this one, he goes amateur detective in the name of love. Pale and deadpan, he takes plunges and pratfalls that would make Jackie Chan wince. That's some movie magic right there.